يوفر فندق Margaret River Bed and Breakfast ظروف إقامة راقية وهو خيار رائج للسياح ولرجال الأعمال أيضاً. يقع في منطقة شواطئ, سياحة, مطاعم من مارجريت ريفر واين ريجيون. إن موقع الفندق الاستراتيجي، الذي يبعد 6 km فقط عن مركز المدينة، يسمح للنزلاء بالوصول سريعاً وبسهولة إلى العديد من الوجهات المحلية المثيرة. يوفر الفندق بفضل موقعة الجيد وصولاً سهلاً إلى أهم معالم المدينة.
. إن الخدمات الممتازة وحسن الضيافة العالي في Margaret River Bed and Breakfast تجعل إقامتك تجربة لا تنسى. لضمان راحة ضيوفه، يقدم الفندق الخدمات التالية: واي فاي مجاني في جميع الغرف, مجهز لذوي الإحتياجات الخاصة, مكتب الاستقبال على مدار الساعة, تخزين الأمتعة, واي فاي في المناطق العامة . في الفندق غرف نوم يتجاوز عددها 4، كلها مجهزة بعناية وجمال وبعضها مزود بـ إغلاق, مناشف, سجاد, تلفزيون بشاشة مسطحة, مرآة. يمكنك طلب اللائحة الكاملة للخدمات في الفندق ومن بينها مسار جولف - ضمن 3 كم, حديقة. إن Margaret River Bed and Breakfast هو خيارك لخدمة الفنادق الراقية في مارجريت ريفر واين ريجيون. The spa inside the room make the winter night supper warm for us. Also love the healthy breakfast with delicious honey from Dirk and ends up buying more so my fiend could enjoy it too. The only cons is there is no street lights around and it was quite scary driving in dark when raining. Lovely, Clean and Spacious room Easy to find We had a concert to go to so only stayed here for the bed so I can't comment on the breakfast or hospitality. My only criticism is it's a non smoking site, this should be mentioned at the top of all bookings. We love everything about this accommodation. 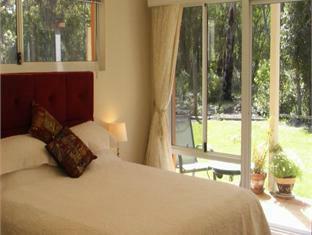 This B&B is located in just a minute away from famous beach in Margaret river but in very quiet place. The lady is so welcoming and the lovely little dog is so friendly. Not to mention the cleanliness, the room is perfectly organized. There are 4 rooms in this B&B and they all are very pretty, with a small private patio facing the bush. 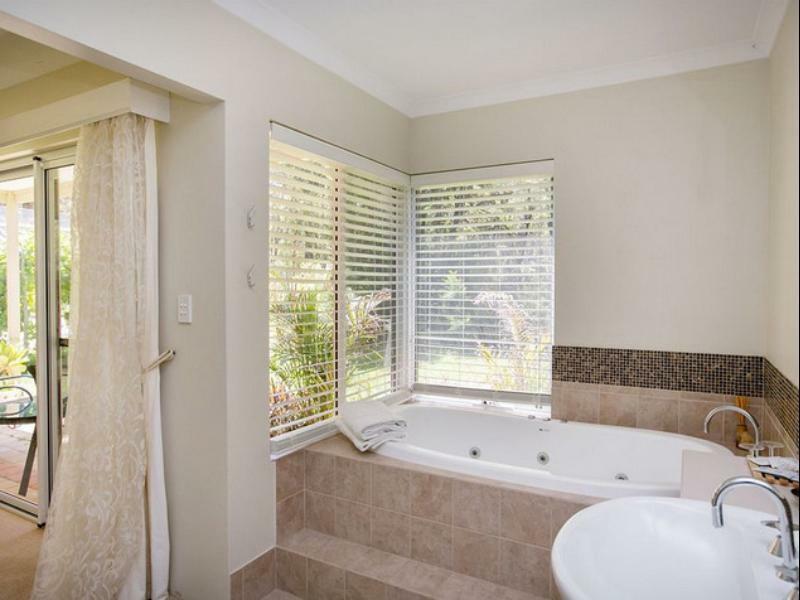 The bathroom was huge and modern with a bathtub, huge shower stall and everything you need for a comfortable stay. There isn't a door between the bathroom and the room though, so this place is really more suited for a romantic stay, not for friends. First of all, the breakfast is fantastic. The options was great and it is cooked personally by the owner when we ordered. In addition, the facility is amazing. The 50-60 inch flat screen LCD TV with 7.1 inch surround stereo is superb. We watched James Bond with that and we're truly impressed with the cinematic experience. This B&B is well regarded and you can tell why - it's purpose build and so spacious and comfortable rooms with spa and cosy beds. 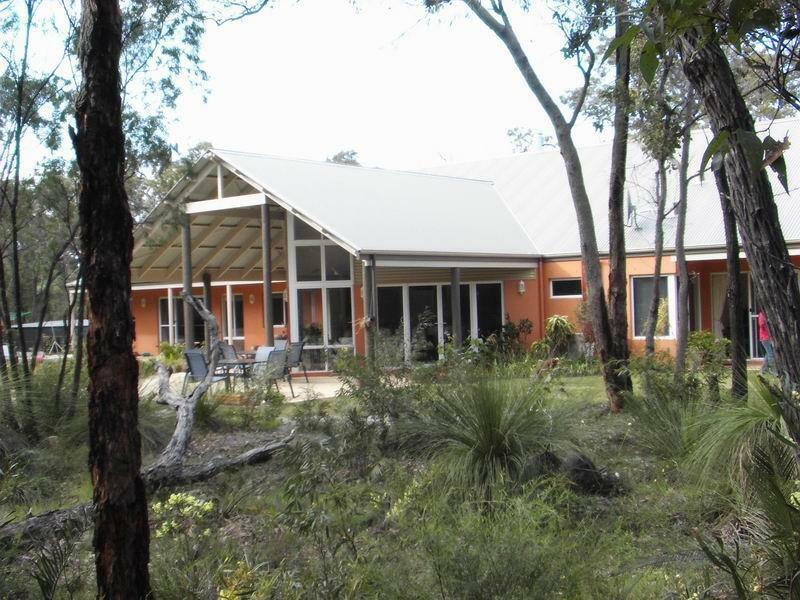 Huge common area in the bush includes access to tv, music and library. Friendly hosts provide good breakfast as well as tasty muffins during the day. Location 5 mins out of Margaret River town but no probs assuming you are driving anyway. dirk and wife made our short stay a memorable one. his familiarity with margaret rivers was a bonus. took his recommended tour route around margaret rivers and had a fantastic time. his wife's cooked breakfast was reallt scrummy! definitely will be back!!! We enjoyed the the clean and warm homely feel of the place . Special mention of thanks to Kylie for going the the extra mile thatwhen she heard that I was unwell Really appreciate her kindness ! 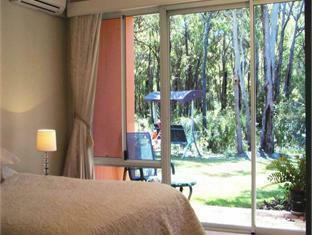 We would highly recommend the place to anyone passing by Margaret River ! Very enjoyable stay. 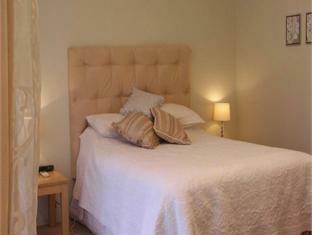 The facilities, room & ensuite were excellent & the decor made it more like a bedroom at home than an away place to stay. Made you feel right at home. The hosts were very pleasant & knowledgeable & answered any queries that you might have. The continental breakfast was one of the best I've ever had. Very helpful hosts. Peaceful place. Huge bathroom which was welcoming. The location is central to many sights and locations within the Margaret raver region. The rooms were very spacious and had everything you could possibly need. The breakfast in the morning was delicious with the owners home made bread , and a wide selection of items available to put on your youghurt and cereal were all laid out. Highly recommend this place for a day or a week, it is cosy and will feel like home. We enjoyed our short stay here because of the cozy feel of the place. They have a good size room for couple and a huge bath with spa. The owners Pam and Dirk are very accommodating and the breakfast is lovely and homey. Having electric blanket is a big plus specially if you are coming over to stay during winter. The weekend couldn't have been more perfect. Nothing was too much trouble for our very accommodating hosts. The large, heated reception area is the perfect place to relax, have a wine, eat, read, chat or watch a movie. Everything we needed was at our fingertips and to cap off the perfect weekend, the rooms have a lovely big spa bath to frolic around in! Highly recommend the nature tour offered by the Manager. The home made bread we had at breakfast was scrumptious. We came with our baby daughter and they really looked after us all very well indeed. Location is great, ten minutes drive one way to the beach and ten minutes the other way to Margaret River town centre. Everything is excellent about this place. 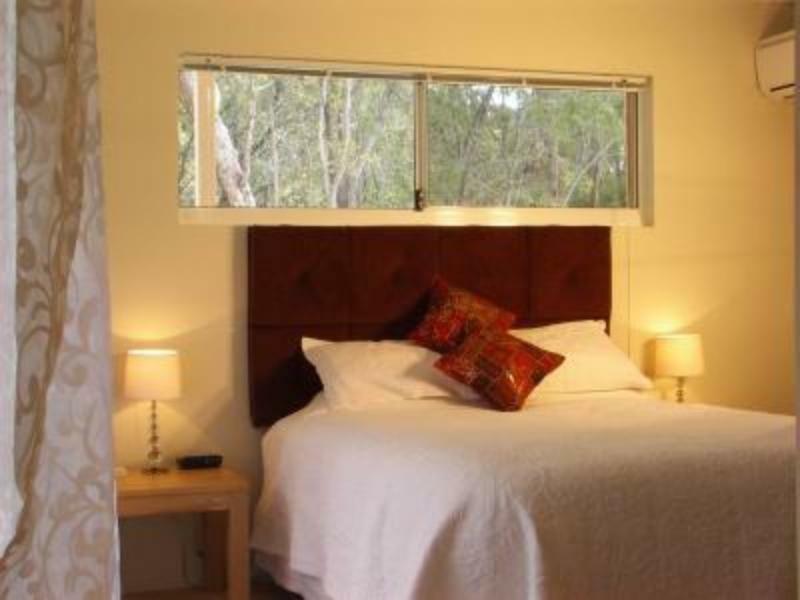 Dirk and Pam have set out to think of every detail -.in the rooms - the bathrooms are spectacular; breakfast is a feast of home made items and home laid eggs, and every help is given for planning your day in Margaret River.. Set in fine bushland and only a few minutes from the town. The place was beautiful and very clean. The owner, Kirk, provided us with great suggestions on what to do and where to eat. End up we threw away our initial itinerary and went for his suggestions (with no regrets). Our boy liked the place (and the dog, Bel, of course) so much. The rooms are beautiful, clean and very comfortable. The room has direct access to the garden. For breakfast, there was an assortment of fruits, cereals, bread and jam from Berry Farm. Lauren was so kind and helpful - she assisted us with our luggages when she saw us struggling with them and also suggested lovely places to eat. Thank you so much Lauren! We enjoyed our stay there and look forward to returning soon !